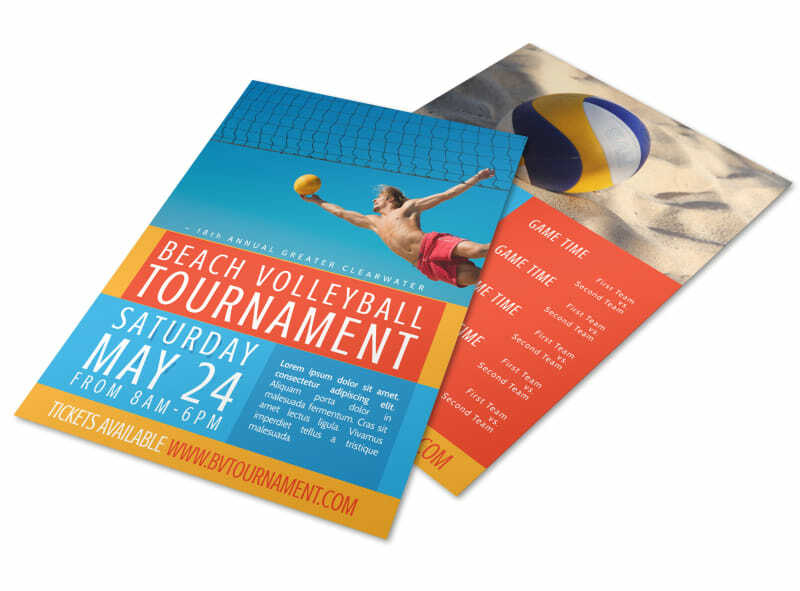 Customize our Beach Volleyball Tournament Flyer Template and more! 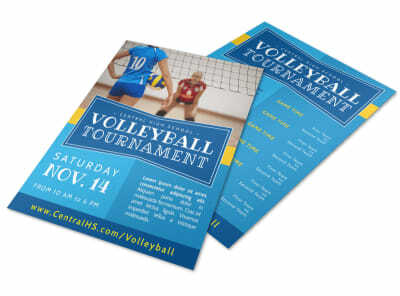 Call out to area volley lovers with this flyer that announces the deets on your upcoming beach volleyball tourney. 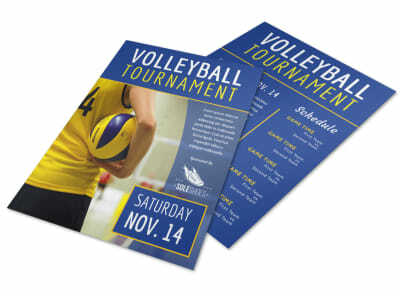 Serve your flyer up with additional flare by easily adding summery colors and design elements to make your volleyball tournament message jump out to enthusiasts of the sport. Let’s get started!